Blessed Rust Vultures, the debut EP from Vancouver's The Villain Avian Symphony, teeters on the edge of outright sonic chaos for nearly its entire 10-minute run time. 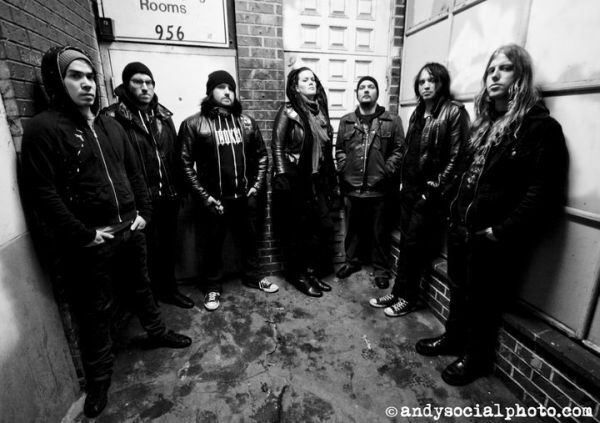 A deranged conglomeration of screamcore, punk, and electronica, the EP is overflowing with a visceral intensity that is sure to propel The Villain Avian Symphony directly into the hearts - and earbuds - of the more extreme inhabitants of the metalcore scene. 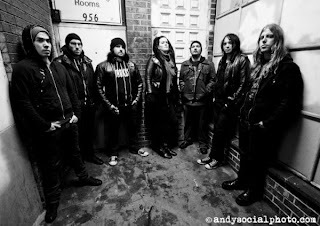 With a roster comprised of veterans of the Vancouver-ish metal scene, with 3 Inches of Blood guitarist Justin Hagberg and former The Black Halos bass player Denyss McKnight perhaps the most well-known, The Villain Avian Symphony certainly does not lack talent. The almost freestyle structure of the three songs on the EP seems to indicate that the musicians were encouraged to explore creative avenues that were perhaps too avant-garde for their other projects, with quite literally a cacophony of screams, blast beats, and exotic riffs dominating the album. Nowhere does Blessed Rust Vultures venture closer to pure, unrestrained noise than on "Titanis". The middle track on the EP is, at its foundation, a fairly straightforward example of screamcore. Tremolo riffs and gang shouts punctuate the chaos, however, offsetting the furious beats and throat-ripping shouts. Melody makes a rare appearance in the latter half of the song, with cohesive riffs edging out the bedlam while a distorted guitar solo makes a brief incursion. McKnight's vocal style is dominated by alternating shrieks and guttural howls, though on occasion he adopts a sneeringly traditional punk style. Together with those aforementioned gang choruses, I found McKnight's less extreme vocals to be more meaningful than his feral barks. Then again, I'm probably not a member of The Villain Avian Symphony's target demographic. For me, the most interesting elements of the band's sound are McKnight's synth contributions. The electronica aspect is subtle, but when moved forward in the mix Blessed Rust Vultures has a bit of a Nine Inch Nails appeal to it. The title track holds a few catchy keyboard moments, but the strong programming presence on "November Lions" makes the EP's final track the most infectious. The contagious underlying melody created by McKnight is a nice contrast to the unadulterated rage of the screaming vocals and pure punk drive. 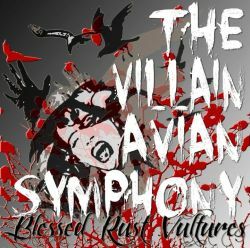 With Blessed Rust Vultures, The Villain Avian Symphony will undoubtedly spark significant interest within the screamcore community. If that's your scene, don't hesitate to make yourself more familiar with this EP.